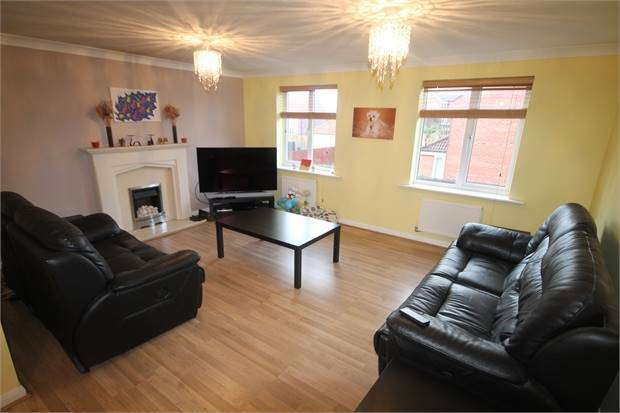 A spacious three storey property with four bedrooms (master ensuite) and a balcony to the front. 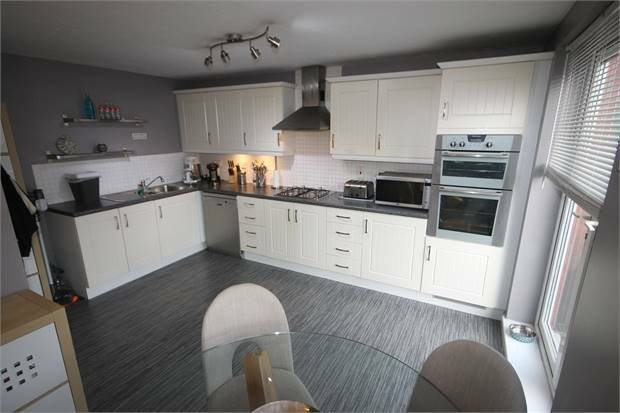 There is also a dining kitchen, lounge, downstairs wc and utility room. Enclosed gardens to the rear, single garage (part converted) and double width parking. Having stairs off to the first floor, radiator, window to the side and access through to the garage which has been part converted and is now split into to large storage areas. 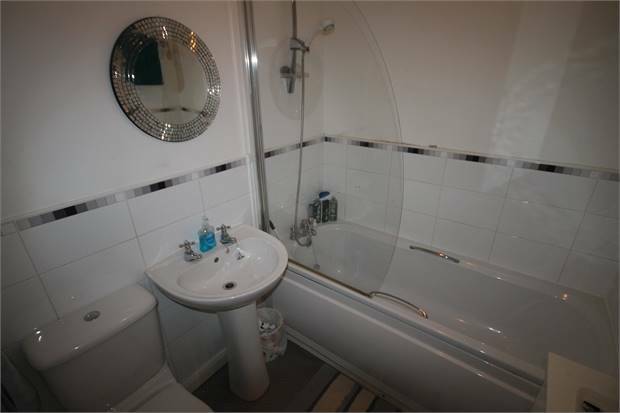 Low level wc, wash hand basin and radiator. 6'6" by 5'10" (1m 98cm x 1m 78cm). 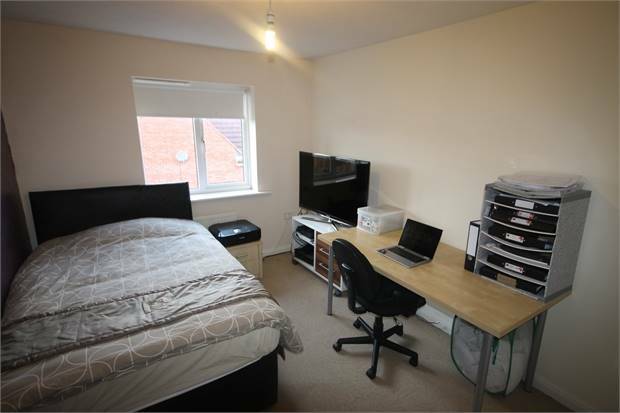 With fitted storage units and plumbing for a washing machine. Central heating boiler, radiator and door to the rear. 9'8" by 9'0" (2m 95cm x 2m 74cm). Having double doors to the rear and radiator. Radiator and stairs off to the second floor. 16'0" by 13'5" (4m 88cm x 4m 9cm)narrowing to 8'. Having a range of fitted wall and base units incorporating a gas hob with extractor hood over, double oven and a one and a half bowl sink. 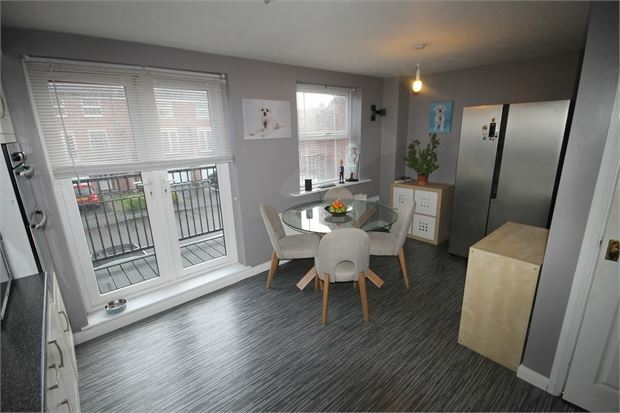 There is a radiator, window to the front and double doors to the balcony. 18'4" by 16'0" (5m 59cm x 4m 88cm)narrowing to 12'7". Having three radiators and two windows to the rear. Radiator, airing cupboard and loft access. 12'1" by 10'0" (3m 68cm x 3m 5cm). 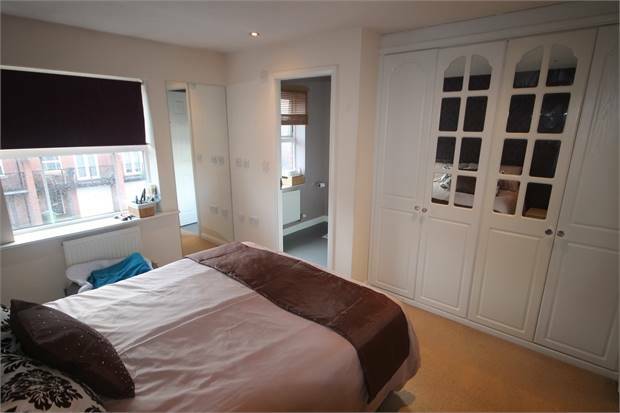 With built-in wardrobes, window to the front and radiator. 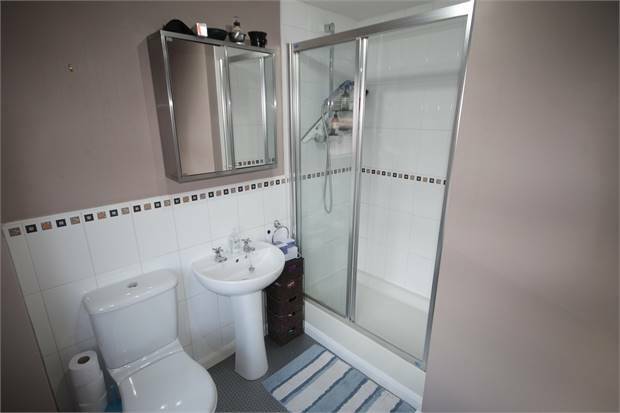 Low level wc, wash hand basin and double shower cubicle. There is also a window to the front and radiator. 12'11" by 8'11" (3m 94cm x 2m 72cm). 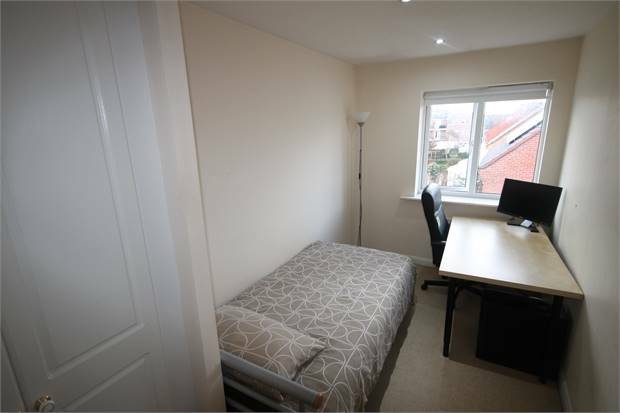 Window to the rear, built-in wardrobes and radiator. 12'11" by 6'9" (3m 94cm x 2m 6cm). Window to the rear, built-in wardrobes and radiator. Having a low level wc, wash hand basin and panel bath. There is also a radiator. 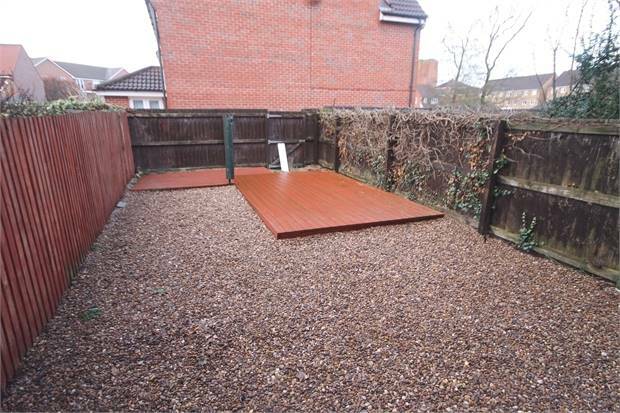 The rear garden is low maintenance and includes a gravel area and decking. 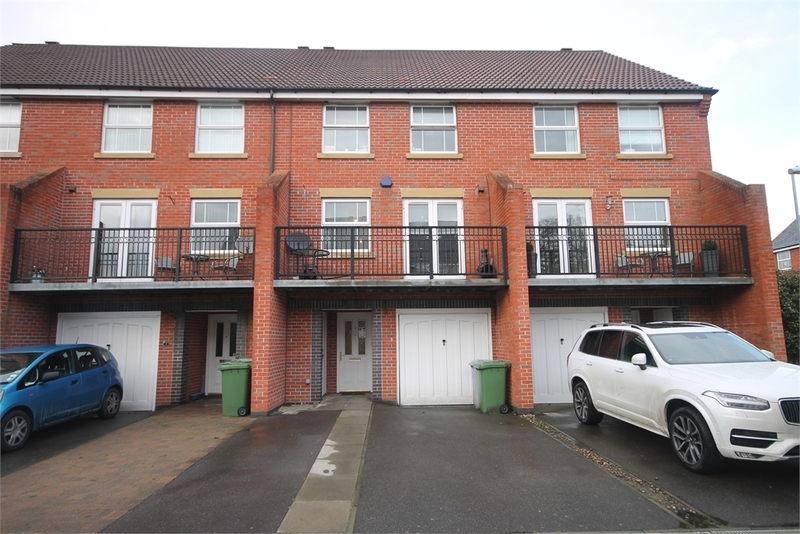 To the front there is a double width drive and a single integral garage (part converted).